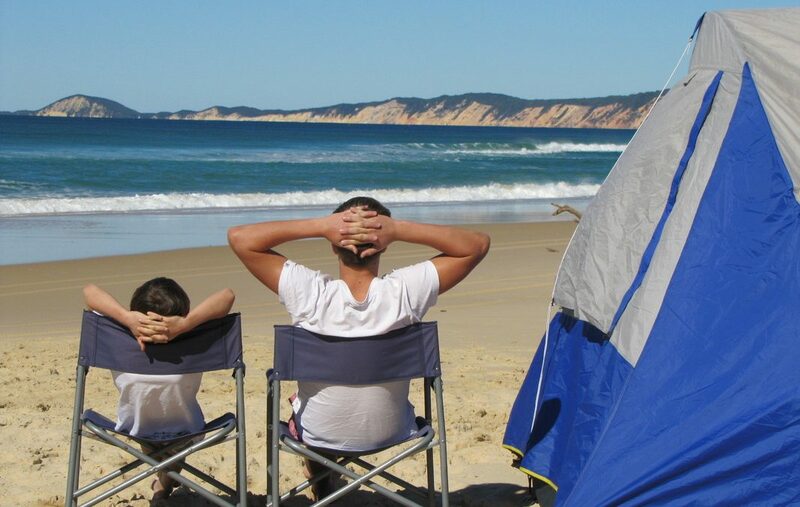 Rainbow Beach Hire-a-camp offers absolute beachfront camping accommodation in the ‘Protected’ are of Inskip Peninsula near Rainbow Beach, overlooking Fraser Island. 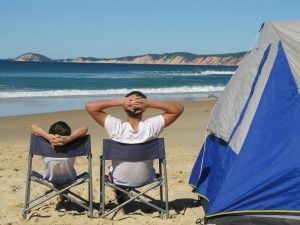 Our camps are all ready set up for you. All you need to do is bring yourself. We even pack them away when you leave. Like we were never there! That’s why we are the healthy holiday for you and the environment.